We will farewell our year 8s in our final assembly at 12.00 noon tomorrow. Our Head Boy and Girl will give their head student speeches. The year 8's will receive their leavers' certificates and the year 7's will receive their leadership roles for 2019. We will finish with carols and the children will be ready to leave for the year by 12.45 pm. We sadly farewell Mrs Jill McCartie who is retiring after 15 year's service at St Joseph's. Jill has organised our library and helped many, many children with their learning in the time she has been at St Joseph's. 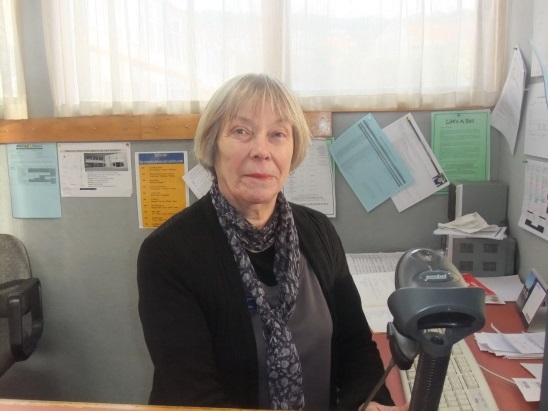 We wish her the all the best for her retirement. We welcome Rowan Stringer as a new teacher aide. 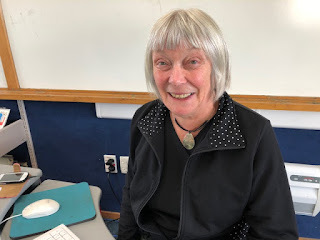 Rowan has qualifications and experience in teaching English Language Learners and she will also take over Mrs McCartie's duties in the library. 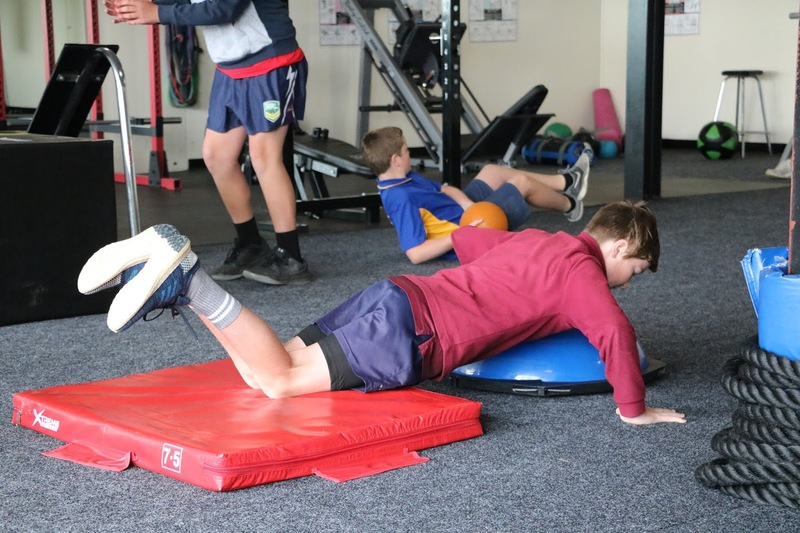 We are lucky this year that our teaching staff are remaining constant moving into 2019. Mrs Tua Misiloi and Mrs Danique McRae have both been accepted onto Reading Recovery training which will take them out of the classroom for a couple of hours each day to do individual teaching. This is a wonderful opportunity for both of them which will raise their teaching expertise even higher. Mrs Ann Dooley will be jointly responsible with them for their classes - we are delighted that Ann is going to do this as she knows the children and our systems so well. Mr Ross will release Mrs Winders and Mrs Brookes for their leadership work and is spending a day a week in their classes and we will be looking forward to seeing more of Mr Ross next year. A big thank you to our supportive parents and community. All of you who have helped with sports coaching, transport and as parent helps in many different ways throughout the year. Thank you especially to Rebecca Heffernan and the Home and School for your continued support and commitment raising funds and providing social occasions for St Joseph's School. I can't thank our Board of Trustees enough. You go out of your way to ensure things are safe and fair and your dedication and commitment to our school governance is outstanding. Finally thank you to our staff who are the most amazingly talented and committed group of people I have ever had the pleasure of working with and to Fr Wayne who is our rock and inspiration. Please continue supporting your children to read over the holidays. Fluent reading opens the door to all learning. We have noticed that many of our children do not read as much as they used to. Please help them by providing books over the holidays and reading to them, giving them time to read and enjoy letting them read to you. Our local public librarians would be more than happy to help you with book choices. This is a gift that keeps giving. Ranger, the Kaimanawa Stallion by K Wilson. 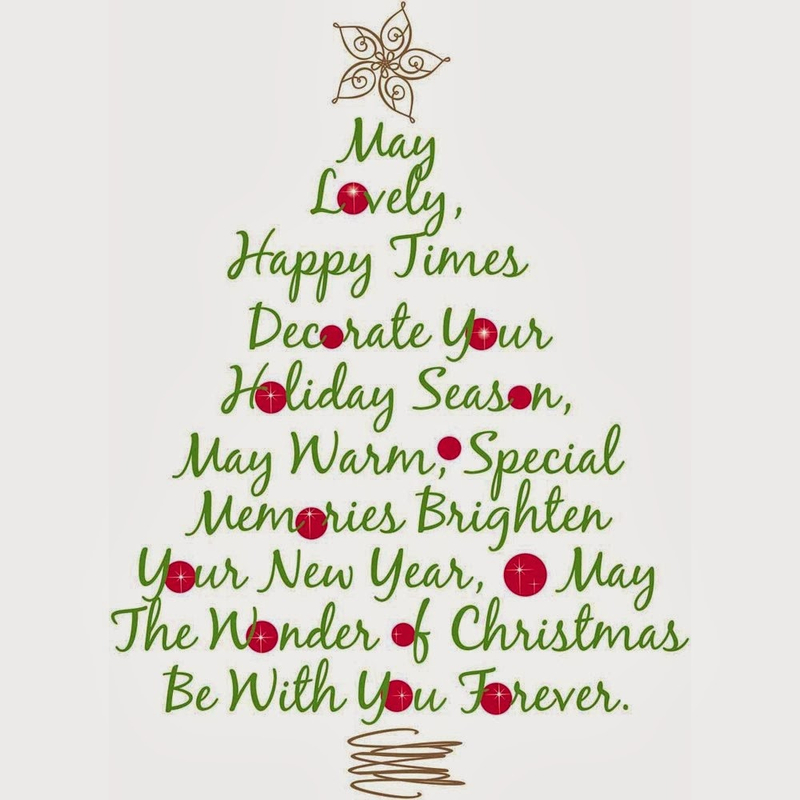 I wish all families a safe, holy and happy Christmas and a wonderful New Year full of family fun and memories. We look forward to seeing you back at school on Monday 4th February. You will be hearing from me again before the school year starts. A popular tradition during the Advent Season is the Jesse Tree. This tree, named for the father of David, is one that is decorated throughout the Advent Season with symbols of biblical people that are historically associated with or came before, the birth of Jesus Christ. This can include people such as Abraham, Noah, and Moses, as well as Mary and Joseph. By decorating this tree, children can be reminded of historical biblical figures and can also be taught about the preparatory nature of the Advent Season. We put ourselves into Your hands and pray that You will bless us and our families during the wonderful months of summer. May we all help make our home a place of relaxation, joy, love, peace and safety. May we be generous and considerate, not thinking only about ourselves, but helping others enjoy the blessings of summertime. We ask this through Jesus Christ, our Lord. 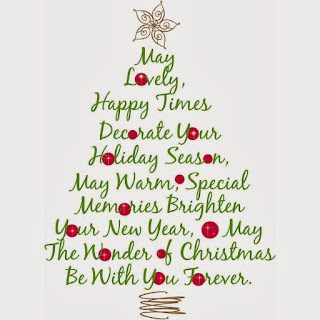 Happy Holidays and Blessed and joy filled Christmas season. Mia Cant, Sam Asi, Daniel Jorgensen, Lachlan Criddle, Xanthe Clarke, Georgia Moore, Chelsea Koay, Lucas Kofoed, Evie Phillips, Sunny Tian, Aaliyah Meikle, Benjamin Jonathan, Willow Bartlett, Ivy-Belle Mestrom, Eli Herbst, Olly Wickham, Blake Meek, Rajbir Singh, Hila'atu Leo, Emily McEvoy, Theo Mestrom, Anashae Meikle, Maximo Catalan-Gomez, Lily Wickham, Nye Jones-Hogan, Eva Harrex, Maddox Lough and Michael Woodhouse. Touch Rugby - congratulations to the following teams who won their divisions in their respective age groups. 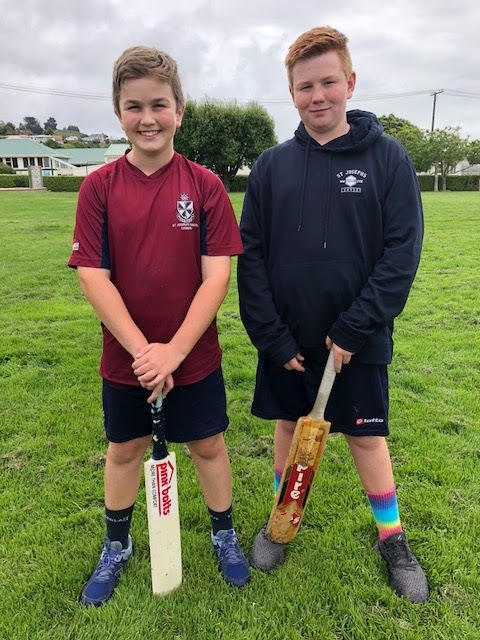 Cricket - congratulations to Campbell Fowler and Liam Cameron who have been selected in the North Otago Primary Cricket team which is playing in the South Island Cricket tournament in early January. Well done to Campbell who is captain of this team. 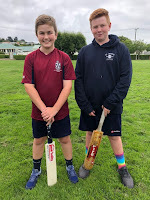 This tournament is being held in Oamaru next year and they will compete against 14 teams from all over the South Island. - Asi, Baillie, Bean, Crowder, Cunningham, Dyson, Hayman, Miller, Orillo, Pe, Plieger, Roos, Sinclair, Souness, Toeke and Winders families. Farewell - we sadly farewell Jill McCartie who is retiring after 15 years of being a wonderful teacher aide, librarian and bus lady in our school. Enjoy your gardening and visiting family in your retirement. Thanks to all the children who came last Friday evening to our disco which was well supported. It was great to see lots of children dressed up and especially to Michael Misiloi who orchestrated the music and the dancing. A big thank you to all of our school community for all your help and support throughout the year and a very big thank you to our hard working committee for all their work they do to help our school. Have a lovely and restful holiday and we look forward to next year where our first big event is the Whitestone Wipeout in March. - Thank you Rebecca Heffernan - Chairperson. Please come and have a look at the huge amount of lost property outside the hall. If it is not claimed, it will be resold back to the Uniform Shop. Cricket and Touch teams - notices will come out in the first week of term 1 regarding these sports. All class stationery lists are on the website for 2019. If you purchase your child's stationery from OfficeMax online at: myschool.co.nz you will be able to purchase at their very low Back to School Discount prices which are available now until 28th February. Alternatively you can purchase packs online from www.paperplus.co.nz/back-to-school or in store at Oamaru Paper Plus. If you already have certain parts of the stationery list, contact Paper Plus Oamaru who will organise a custom made pack for you. Both companies enable parents to purchase their children's stationery at lower prices and both companies will make a donation to St Joseph's. 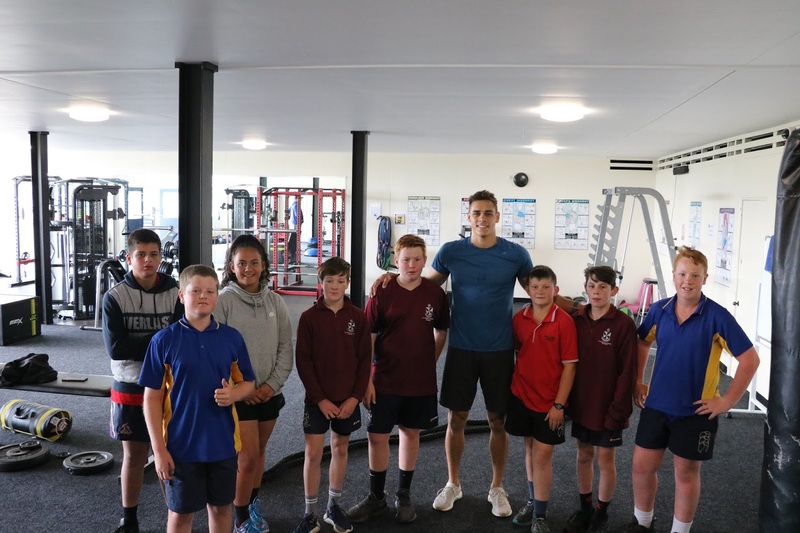 Last Friday, Elenoa Asi, Campbell Fowler, Sebastian Spillane Michael Woodhouse were invited to St Kevin's College to attend a high performance PE unit where they listened to motivational speakers David Nyika (2 times NZ Gold Commonwealth Boxing Champion) and Niko Mannix ( a young man who got run over by a truck and broke his neck) They learnt about what it takes to succeed and how much hard work is involved to follow your dreams. These students will be part of the Yr 9 high performance PE group next year. 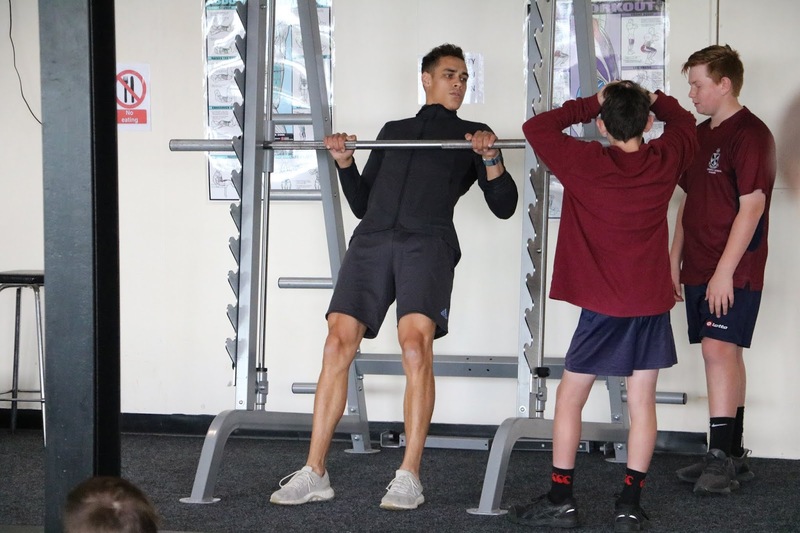 Photos courtesy of St Kevin's College. As school finishes at 12.45 pm tomorrow, there will be no subway lunches. Below is the swimming timetable for the first 4 weeks of term 1. If you are available to help walk the children to and from the pool, please let Mrs Brien know. There maybe times when these ladies will not be available to help. Our uniform shop will be open on Friday 1st February from 9.00 to 10.30 am and Monday 4th February from 8.30 to 9.30 am. It will be open every Thursday from 2.30 to 3.00 pm. Yesterday Willow and Chloe shared their multi-pathway story/game. It features a princess who is fearless and fights for what's right. "That's what we're taught in this school. It's what we're taught to be." We're so proud of you girls. Reports go home tomorrow. Your child's stationery list for their new class will be with the report. All classes are within Ministry size guidelines for 2019 and the Board is putting in funding to do this. I have honoured all conversations I have had with parents and agreements regarding class placements for those children on the age borderlines. Year 6 are enjoying their EOTC week activities. They have been doing archery, Masterchef, technology challenge, team building games, a First Aid course, rock wall climbing and tomorrow they are doing sailing and kayaking. Last Friday the Home and School provided the year 8 graduation dinner. The year 8's had a wonderful evening. The year 7's joined them after dinner for dancing. The dance mix was our usual mix of traditional dances that the children have learnt, interspersed with their own dance choices. The evening really raved up when Michael Misiloi joined us. The children are to wear their clean and tidy school uniform, not the PE uniform. School ends at 12.45pm on Friday 14th December.